How to make a camping shower with a weed sprayer is easier than you think. 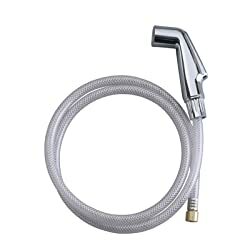 A simple weed sprayer sold at your local Ace hardware store or Amazon, a 1/4" brass barb hose adapter, and an inexpensive kitchen sink sprayer is all you need to take showers on camping trips. 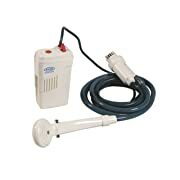 These are commonly referred to as weed sprayer showers in camping forums. Over the past 10 years of family camping we relied on both solar showers and paid showers available at campgrounds. Often, we went 2-3 days without a shower. My boys are now teenagers and we need frequent showers. The high end propane camping showers seemed to be the best option for quick showers. However, starting at about $170, I did not think this was practical for budget minded campers. I settled on making my own with a simple plastic weed sprayer purchased at Ace Hardware. 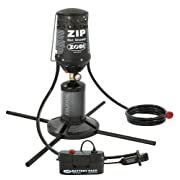 Bug and weed sprayers are available in both plastic and stainless steel. Amazon, Ace Hardware, Orchard Supply, Walmart and The Home Depot sell a variety of models inexpensive models for as little as $15. 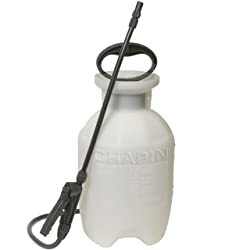 Chapin weed sprayers have the best reviews. I like the idea of stainless steel because its' better suited for adding hot water to the unit. Durability is a factor as equipment gets more abuse stuffing it in and out of your vehicle. When I build my next shower, I will use stainless steel as the quality is better and will not tip over as easily. To make the camping shower, simple cut the original wand off the bug sprayer. Some wands are connected with a hose clamp. Loosen the hose clamp and remove the wand. 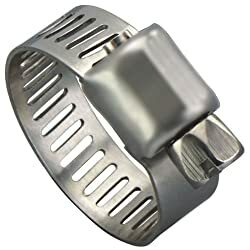 The hose clamp can be used to attached a standard kitchen sink sprayer available from The Home Depot or any hardware store for less than $10. You may also have to buy a hose clamp to attach the sprayer. I found all the plans to make your own camping shower at Camping Forums. The design is so simple. 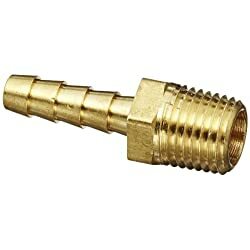 Step 2: Insert the 1/4 inch brass pipe cap from the kitchen sprayer with the 1/4" barbed brass adapter into the cut end of the sprayer hose and secure with a 1/4" pipe clamp. Step 3: Thread the kitchen sprayer hose to the brass pipe cap. Use pipe thread tape to ensure a good seal. The finished product is going to vary depending what you use for a the water reservoir and pump. A 2 gallon reservoir will give you a nice shower. Our solar shower was about 2 gallons and it was good enough for one shower. You can use this sprayer to wash dishes too. Once you build one and start using it, you will wonder how you lived with out. 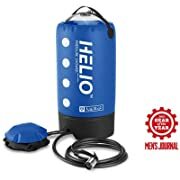 Other camping showers that may interest you. Cutting back the wand is a great idea! Do you have any photos of your sprayer that you would like to share?